After The Force Awakens released almost two years ago (two years?! ), I went on a Star Wars spree. I wanted to read all the books and watch all the shows. So I started watching Star Wars: The Clone Wars (not to be confused with the show Star Wars: Clone Wars, which came out first). A month or so later I had stopped watching it as other shows caught my attention and the thrill of Star Wars waned. (I also stopped reading the Star Wars books because some of them were atrocious and I couldn't get over zombies being in a Star Wars book. Maybe the only good thing to come out of de-canonizing the books.) But it wasn't because Star Wars: The Clone Wars was a bad show. It's actually a decent animated film, and much better than a lot of other shows (including Star Wars: Rebels). Recently, I started watching it again and I'm glad I did. I was reminded of why I enjoy the show and why it's worth watching. One of my favorite aspects of the show is the sass. Between Obi-Wan, Ahsoka, and R2-D2, this show is chock full of sassy one-liners, excessive flirting (looking at you, Kenobi), and hilarious comebacks. It's actually quite clever, and the dialogue between characters is one of the most charming parts of Star Wars: The Clone Wars. Darth Maul: Anything more to say? Obi-Wan Kenobi: I like your new legs. They make you look taller. 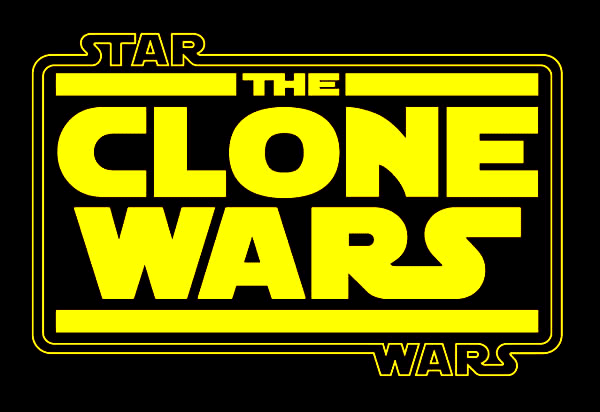 Star Wars: The Clone Wars does a good job expanding the Star Wars Universe. The characters travel to so many different planets and systems, they encounter different alien races and cultures (including creepy zombie Geonosians! Whyyy??? ), and they interact with a lot of new ideas and concepts. Despite Disney de-canonizing about 95% of the Star Wars Expanded Universe, Star Wars: The Clone Wars manages to hold on to parts of that universe and give us a wider story than the one on the silver screen. Another aspect I like most about the show, other than the sass, is that it focuses heavily on the Clone Troopers. A lot of the troopers are complex, well-rounded characters. There are episodes solely about Clone Trooper training and missions, emphasizing that despite having the same DNA and upbringing they are all unique and interesting people. Yeah, a lot of them die, but a lot receive representation that is otherwise ignored in the main saga. After all, Clone Troopers are people too, you know. Star Wars: The Clone Wars is remarkable because of it's excellent voice-acting cast. At first, I honestly thought that Ewan McGregor or Natalie Portman or even Frank Oz recorded for the show, but I learned instead that no one from the movies did the voice-acting for the show. Instead, it's simply amazing voice actors taking on the roles and making it fit seamlessly with the films. It's impressive. 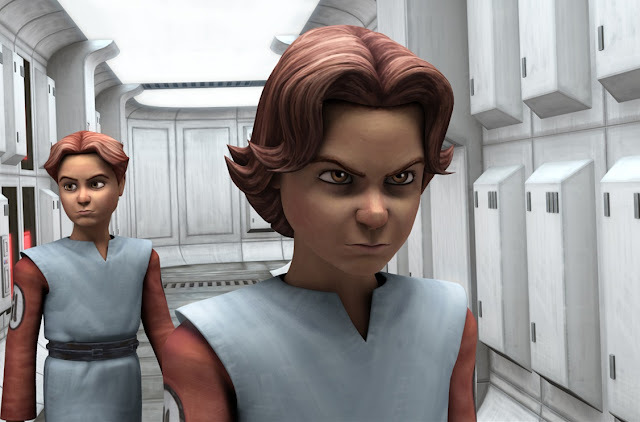 Okay, so the animation style makes Anakin look like he is always angry or he smelled something really bad. (And I don't think it was Stinky.) While it makes me laugh and point at his face like I'm a five-year-old, I do appreciate the animation style. It's not the typical 2D a lot of animated shows are; it's 3D CGI animation, which gives it a unique style. I wish more shows were like this because I think it makes the Star Wars world come to life in a new way. Plus, it makes Anakin's face look angry. I like. Why do you love Star Wars: The Clone Wars?